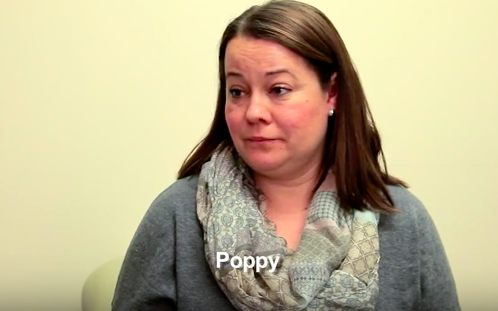 At her first prenatal visit, Dr. Pat Garcia asks Poppy if she knows her partner’s HIV status. Poppy is at her first prenatal visit with Dr. Pat Garcia, MPH. Dr. Garcia explains what will happen during the visit, and tells Poppy that, “Every pregnant woman should know her HIV status.” Then she asks her about her partner’s HIV status. Poppy says that she doesn’t know her partner’s status, and Dr. Garcia tells her about the risks of seroconversion during pregnancy. She offers to make a referral for Poppy’s partner to get tested.